Sleep is one of the important element in our life. And blue light exposure after the sunset is not going to help much with that. 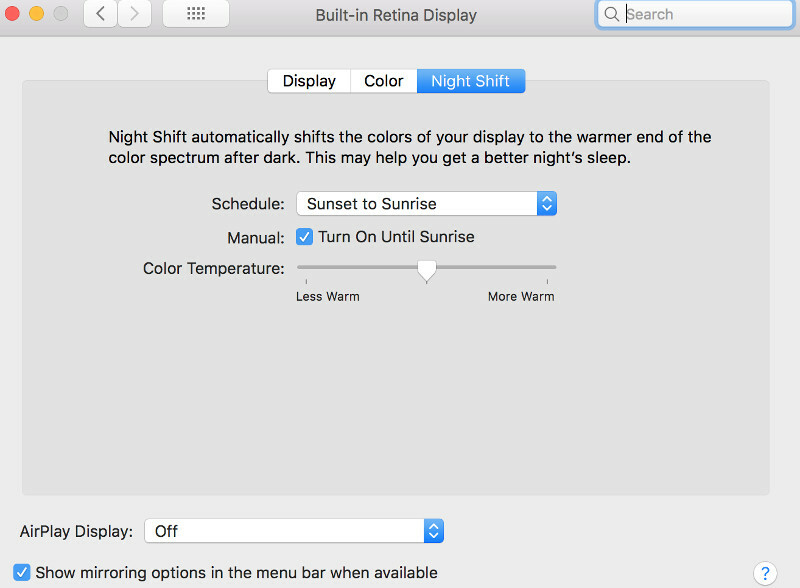 Let’s make a decision to block out blue-light after the sunset. 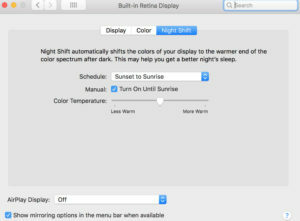 In windows machine you can install f.lux to let it automatically adjust the display . Display -> Night Shift. and turn it on.